In 2013, Chinese President Xi Jinping set out the strategy of rebuilding the Silk Road Economic Belt and a 21st Century Maritime Silk Road known as “Belt and Road Initiative” (BRI). The proposal caught the interest of the global community, and quickly gained the support of nations along the route. 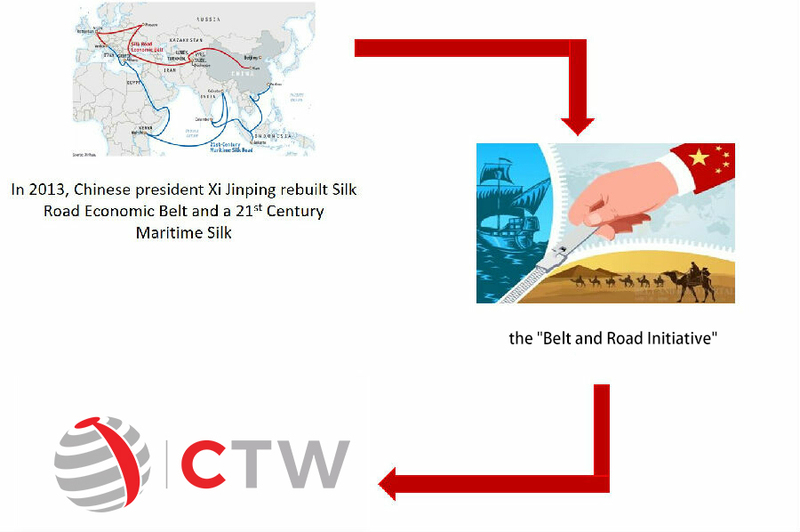 China's "Belt and Road initiative" BRI is a comprehensive framework for organizing multinational economic development and trade, which has inspired the creation of China Trade Week (CTW). Established in 2013, China Trade Week had its first successful event in the UAE. This was followed by the first African event in Kenya which had an even bigger response. CTW was launched in Morocco last year which had over 3,000 high quality visitors from different sectors. After successfully hosting the event in Casablanca, CTW is back for its 2nd consecutive year in Morocco with more than 100 high caliber Chinese manufacturers from industries including Construction Materials & Machinery, Clothing & Textiles, Home Electronics, Health & Beauty, Interior Design and Lighting & Energy. The event will be taking place at the Office of Foire Internationale de Casablanca on 06th-08th December, 10:00-18:00 daily. China Trade Week series of events has always been successful with more than 5000 government institutions and enterprises participating the event. After it was encouraged by the African Union to expand its scope, CTW is now hosted in Ethiopia, South Africa, Kenya, Morocco, Iran and the UAE, with the intention of adding more countries every year along the “Belt and Road Initiative” route. With every government and industry support, the organizers of China Trade Week spares no effort to make sure that the best industries will be presented at the event. They spent weeks on the road, meeting companies from major provinces in China such as Jiangsu, Sichuan, Guangdong, Zhejiang, Beijing & Shanghai. Small and Medium-size Enterprises (SME) can enjoy full support from China Chamber of Commerce concerning China Trade Week which means enterprises attending the event can apply for overseas exhibition subsidy from the government if they meet the requirements.